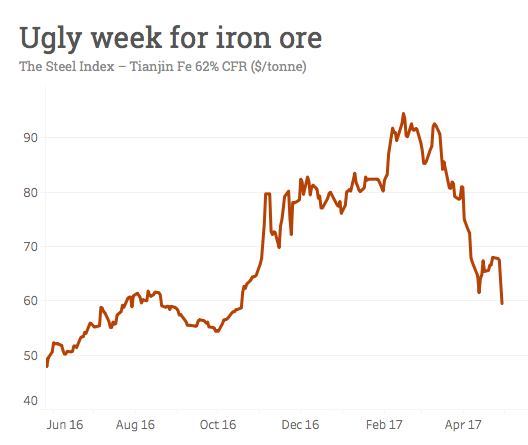 The destruction of iron ore and coking coal prices in the past week has been brutal. Northern China 62% Fe import prices are down more than 12% since last Friday after losing another $4 on Friday to below $60 a tonne. Measured from its February peak, the steelmaking raw material is down a stomach-churning 37%. Premium hard Australian FOB met coal has fallen 18% just since Wednesday and is now trading more than $100 a tonne below its mid-April peak of $314 according to TSI data. The coking coal correction was to be expected as exports in Queensland return to normal following cyclone outages. And most producers will be happy with a price north of $200 – 14 months ago they were coping with sub-$80. The sudden collective loss of confidence in the iron ore market – happening just as the industry’s annual gathering in Singapore was drawing to a close – is a little harder to explain. 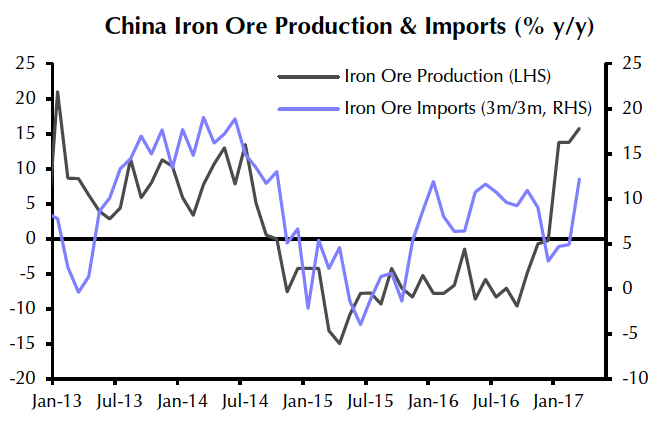 You’d expect worries about Chinese steel output should have been baked into the price by now, but iron ore’s losses have been much greater than Shanghai rebar’s decline. By the same token additional supply from Australia and Brazil would’ve been factored into the market, and the likes of Roy Hill’s 55m tonnes per annum absorbed. Swing producers in India, Iran and Peru have made the most of higher prices with the former upping exports by 332% – to a total of 3.3m tonnes a month. To put that into perspective Chinese imports were running at over 90m tonnes a month during the first quarter. New vessel tracking data from Reuters also point to robust imports by the seaborne trade’s number two and three players. Japan's imports in April reached the highest since January 2015 at 11.6 million tonnes, up more than a million from April. South Korea, took in 7.2 million tonnes last month, the most since October 2015, according to Reuters. The Chinese roll as much steel as the rest of the world but the other half hasn’t been doing so badly. World Steel Association data released last week showed a 5.7% year-on-year jump in global steel production in the first quarter. Output rose strongly in all regions of the world led by double digit gains in world number two India (so those tonnes that went to China may be staying home in coming quarters). Chinese port stockpiles are still elevated, but are down from record highs and in terms of import cover levels are not that alarming. That leaves the industry’s traditional bogeyman – domestic Chinese miners. Once lauded for providing a floor for prices ($120 a tonne no less – remember those days?) the scale and speed of the return of Chinese iron ore mining was the x-factor going into 2017. 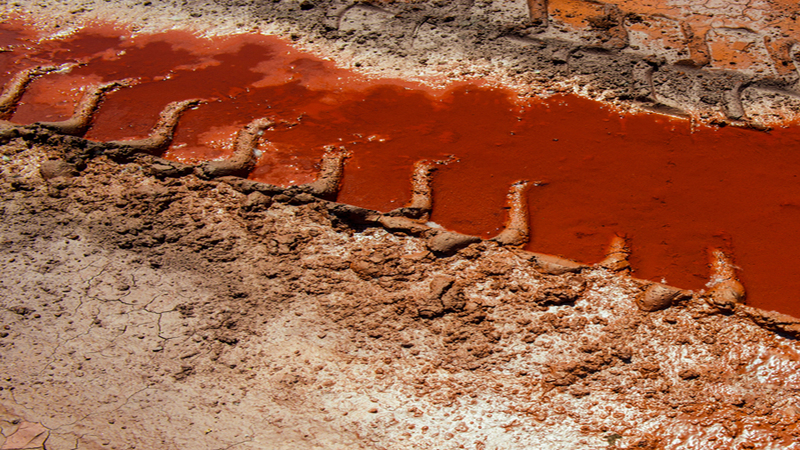 Rio Tinto said in March 30m tonnes had already returned to the market compared to the 140 million that exited over the past three years. The new rule of thumb in the industry (Wood Mackenzie and others) appears to be that only a prolonged period of sub-$60 prices will force marginal producers to exit the market again. Well Friday was the first day of that. Under pressure from Beijing's pollution fight, the country's steelmakers prefer high-grade imported ore anyway. Perhaps Chinese producers will shut down even quicker than they ramped up.